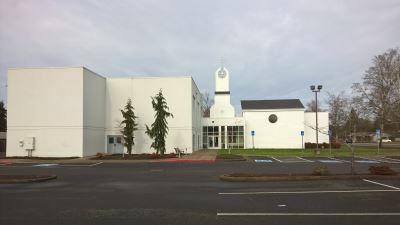 Good Shepherd Lutheran Church has been spreading the Gospel in Albany, Oregon for almost 50 years. Good Shepherd Lutheran Church was founded in 1962 as a mission congregation of Immanuel Lutheran Church Missouri Synod. The goal was to establish a distinctively Lutheran Christian presence in the newly developing Southeast Albany. The original idea was for Immanuel and Good Shepherd to be one church with two congregations. However, by 1967 it was decided that Immanuel and Good Shepherd would each be their own independent church and no longer be yoked to one another. In 1967 Good Shepherd also opened a pre-school and kindergarten in order to provide quality primary education to Children in Albany. For the last Forty eight years Good Shepherd Lutheran School has educated three generations of families and are still going strong. In the 1970s Good Shepherd parted ways with the Missouri Synod over social and theological issues and in 1987 Good Shepherd Lutheran joined the new Evangelical Lutheran Church in America. Over the course of almost 50 years Good Shepherd has seen many changes occur in both the community of Albany and in the Lutheran Church, but one thing has stayed the same the desire to be a distinctively Christian Lutheran presence in Southeast Albany.